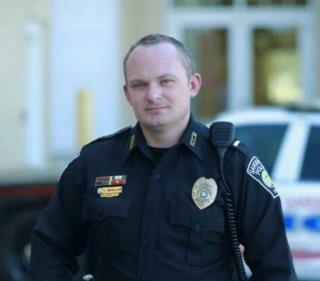 (Newser) – Lt. Tim McMillan put up a Facebook post Oct. 1 about an encounter he'd had with a young African-American man and how he wished relations between police and the community could be better. The Garden City, Ga., cop had no idea how much of a chord he'd strike with that note, now shared more than 142,000 times and leading to so many messages for McMillan that he set up a Facebook page. "When I originally made the social media status ... I did so because I truly care for people," he wrote in a Saturday post on the new page. "I care for all human beings and wish all people ... a life of happiness and peace." In his original post, McMillan had expressed frustration at pulling over a young black man (for texting and driving) and seeing how frightened he was dealing with a police officer. This conversation has been going on for decades, but not all parties are participating, mostly media hacks and sideshow politicians. What about those who live in high crime areas and are caught between criminals and police? What about some of the drug dealers who cap anybody that disrespects them or infringes on their territory? Black children deserve to live a full life and not be judged by their skin color. Whites are ready to not judge but are blacks ready also? Ignoring the reality of the ghettos is the same as what is occurring on Indian reservations, high rates of illiteracy, domestic abuse, poverty, unemployment, drugs, alcohol and sexual abuse. When is something really going to be done or should we continue to leave it up to those who don't live under these threats. Why would anyone fight improvements to police accountability ...it protects good cops and the general public. At the moment bad cops get no punishment and are moved around as gypsy cops to other precincts like the Catholic church moved around paedophilia priests. Thus good cops are forced to turn a blind eye, thus compromising them too. He prolly had a blunt in his pocket.